That's right, not only does Target have the very elusive Keep Caramel and Cookie On, but they have this line up as well. Now, the difference here is that this lineup does not have a common thread. These aren't all coconut milk or almond milk or rice or soy or whatever. Each one is built around the main flavor component, it's more akin to sorbet than ice cream really. ...and a little ways down = very fancy. Let me put this very simply. 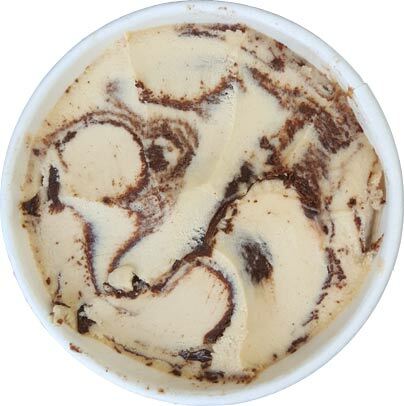 Did you try Talenti's pb fudge sorbetto and wish it had more chocolate? Well, H-D has got you covered. This is a similar product but with more chocolate. To be fair, I want to say the texture here is a bit more stiff than the Talenti version though it's hard to quantify when the two products aren't side by side. I want to say this is a little less creamy and smooth yet somehow also a little less dry.... but that could have been the chocolate distracting me from the base texture. 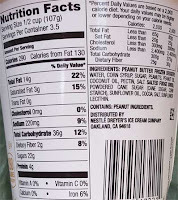 I wouldn't worry about a "salty" peanut butter here. Everything plays well together and salty didn't really come to mind. If anything, I spent most of my time debating if I should let it temper another few minutes or just keep on scooping. FYI: I just kept on scooping. I didn't notice it until I stopped, but there is a bit of a "unique" sweetness to the lingering aftertaste on this one. I won't say it's bad, but I won't say it's a super positive either. It's almost artificial in nature. Hmmm. 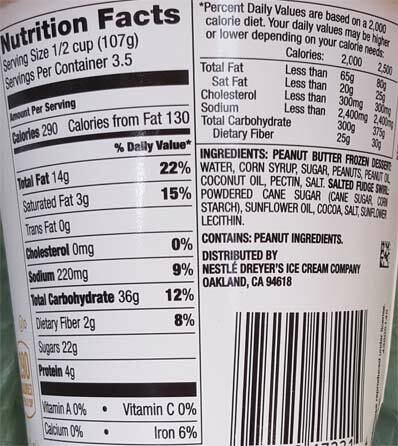 Something to debate on the second scoop. So, that went about as well as expected. Just think of it as sorbet and you'll be fine. I think this is going well enough that I'll probably try the truffle flavor as well. On Second Scoop: I wound up not completely finishing this one, I just grew tired of it. There's just something funky about how the more you eat, the odder it tastes. Oh well. I thought the chocolate might make this better than the Talenti version, but that one didn't wear me out like this one did. ALL OF THEM, but one, involve chocolate? I guess that's why the freezers are dominated by salted caramel, peanut butter, chocolate, cheesecake, red velvet cake and cookies and cream. They're just giving Muricans what they want. Rant over. If I see Coconut Caramel I might try that one. Why do people think that every single flavor a company puts out has to be to their specific liking? 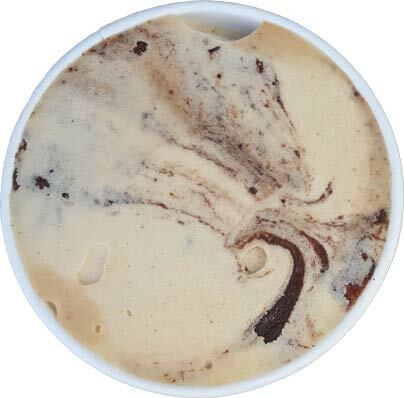 Is each one of us the center of the ice cream universe? We are all different and not every flavor can appeal to every person. But seriously, I agree that the lineup is extremely limited but this is just H-D testing the waters. If it goes well, we see expansion next year. If not, it'll disappear quickly like most other H-D experiments. Companies are realizing that not everything has to be a winner nowadays, they just need something "new" to blast on to social media and then they are free to move on. I get that alot of people love peanut butter, salted caramel etc. I'm not saying stop making them, just branch outside of the comfort zone a little bit. wait, did they say they dont have KCCO anymore? sorry, I was just having a little fun ranting in general, not you specifically. But yes, my Target told me they didn't carry it anymore. And when I called our local Ben and Jerry's Scoop Shop asking about it, they said they didn't have it. But at first the Scoop Shop clerk thought I was saying "Keep Caramel Cookie Almond", so maybe that's what happened with the Target clerk. I might just call again...I hate being "that" person but at the same time, I didn't want to go there for nothing. 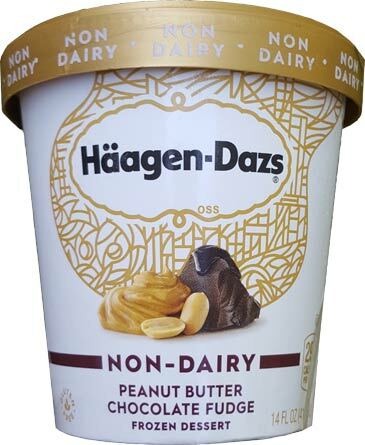 But yes, I'll be pretty annoyed if they got rid of KCCO to make room for THIS stuff which sounds like it's ripping off Talenti's sorbetto. I do agree that I wish more companies would have a cake batter/cakey ice cream! Ben & Jerry's Confetti Cake ice cream was so good that I would eat it by the pint! That was one flavor that I feel they should've added to their permanent lineup, & was a bit bummed that I could only ever find it at one of my local super centers (limited batch). Turkey Hill's Party Cake is decent, but doesn't even come close to being as good as the aforementioned.